Two weeks ago my husband and I left the house to have dinner and see this important film. We went to our favorite local Mexican restaurant and left the restaurant to find that there were 2 nails in our rear tire. We hurried to a local Goodyear tire center to get the tire repaired. It was after 6:00 pm and the free Tea Party showing stated at 7:30. Talk about stress, the tire was repaired and I was mumbling the whole way as we needed to stop for gas also. When we reached the AMC multiplex where the movie was showing, all of the seats were gone. However AMC being smart free marketers immediately opened a second showing an hour later for paid attendance. We immediately plunked our $20 bucks down for two tickets and bought another $10 bucks worth of popcorn and some thin mints. When we entered the auditorium there were maybe 70 or so seated waiting the 50 minutes or so for the film to begin. In 2s 4's eager viewers began filling seats. By the time the film opened this auditorium also had folks sitting on the stairs. I had read all about Barack Obama on David Horowitz site Discover The Networks and had read all of Dinesh D'Souza's books on Obama including, "The Roots of Obama's Rage" . I was not an uniformed voter when I entered the theater. Unlike most movies, this time people who did not know one another were talking while we all waited nearly an hour for the film to begin. The couple to our left were active in their local Tea Party, as are my husband and I also were familiar with the topic and facts to be presented in the movie. They are registered Republicans. On our right was a group of 3 friends (that we did not know) who came to see the movie. All three independent voters and business owners. They came out of curiosity after hearing and reading about the film. All said they voted for Obama in 2008, but would not support him in 2012 because Obama had hurt their businesses. In the row behind us the stories were similar, discussion of concerns for rising costs, healthcare, the deficit. All registered voters, some politically active, some not but all concerned for America's future. (I am infamous for being willing to talk to anyone about politics, and it was a great discussion of about 15 individuals before the movie started). This is a brave film. It is honest, unpretentious and framed from D'Souza's view based on his life experience and the similarities in both his and Obama's background culturally. The similarities end there. There is no doubt about it Dinesh D'Souza is a staunch Conservative, great patriot and a man of letters, towering intellect and the President of King's College in New York. 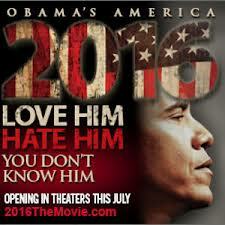 Dinesh D'Souza tracks Obama's life and influences, the montage of scenes and one after another fact move rapidly. This is not a boring film. The backdrop of the third world, interviews and facts are compelling. This is a great movie. It is breathtaking. At the end of the film, the audience was in SHOCK. The silence was palpitating, then as if on cue I kid you not the entire audience stood and a thunderous applause filled with "Bravos" and "Way to Go" were shouted out. Rare today at your local movie. My take 400 very determined voters left the auditorium and you could over hear "my friends need to see this" "I am coming back with my kids" and "Obama has to go"
Would I recommend this film Absolutely It is a patriotic duty to see this film. That is just this gal's opinion. In full disclosure, I follow Dinesh D'Souza on Twitter and I am honored that he follows me.